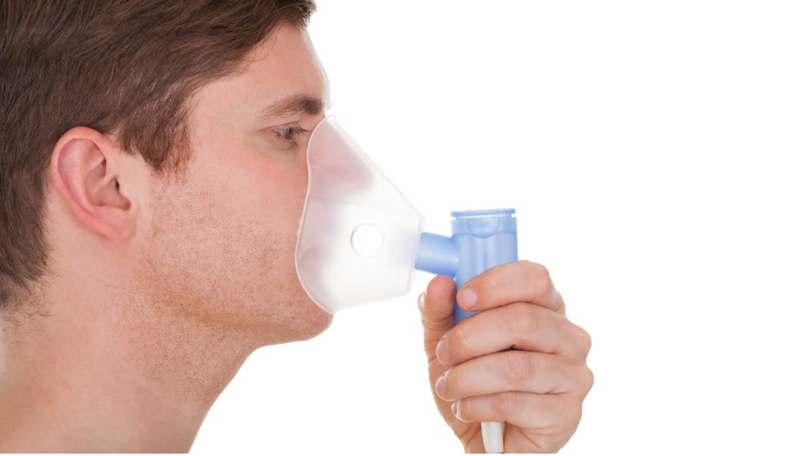 A patient may receive medication nebulization during oxygen therapy. The pathologies treated are COPD, asthma and acute forms of bronchitis. The drug reaches the patient's airway in the form of droplets of 5 to 10μ. This mode of drug adminisatrion has many advantages compared to intravenous. The lungs are directly treated without passing through the cell membranes of the body, it increases the anti bacterial defenses of the lungs and finally this mode has a lower toxicity.